Welcome to the New Philadelphia Municipal Court website. The New Philadelphia Municipal Court, located in the Memorial Municipal Building, was created in 1975 and began operating on January 1, 1976. 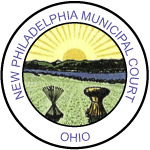 The New Philadelphia Municipal Court has territorial jurisdiction within the municipal corporations of New Philadelphia and Dover, and within Wayne, Franklin, Lawrence, Sandy, Sugarcreek, Dover, Fairfield, Warren, Auburn, York, Goshen, Bucks, and Jefferson Townships in Tuscarawas County. 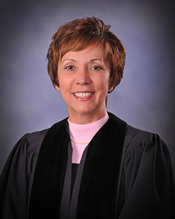 Therefore, the following villages are also within the jurisdiction of the Court: Baltic, Bolivar, Midvale, Mineral City, Roswell, Stonecreek, Strasburg, Sugarcreek, and Zoar. We have developed this website for your convenience and information. The Internet provides our court with an additional means to communicate with you and provide information about the court. Please take a few minutes to tour our website, and we hope that you find it informative and useful. You can pay your fines and even waive certain traffic or criminal citations through our online payment tool or by phone through our call center. Check out our Online Payments page to pay online or call our call center at 866.895.0198. In an attempt to recover outstanding fees and costs, the court is now utilizing Capital Recovery Systems, Inc., and as of February 16th 2018, we will also be using the Attorney General's Office for collections as well. More information can be found on the "Collections" pages of this site. Legal Disclaimer: The user of this system is hereby notified that any reliance on the data displayed on the screen is at your own risk and liability. Information on the system may be altered, amended, or modified without notice. The NPMC is not responsible for any virus that may be wrongfully and illegally placed into this website. Use of this website is at your own risk and the NPMC will not be held responsible for any damages that may occur to your computer system from its website use.